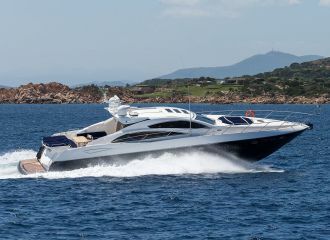 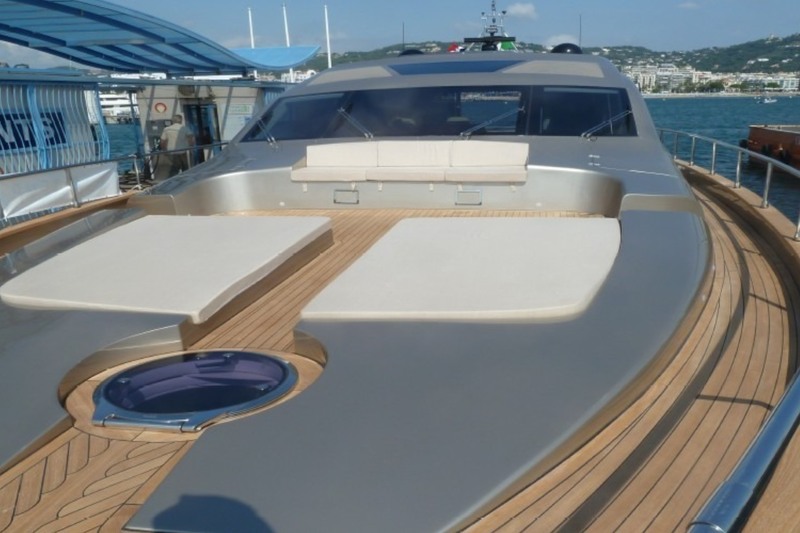 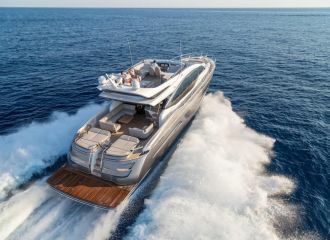 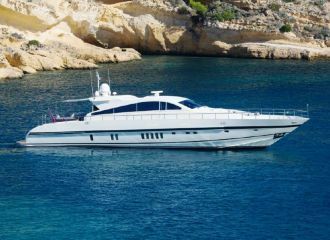 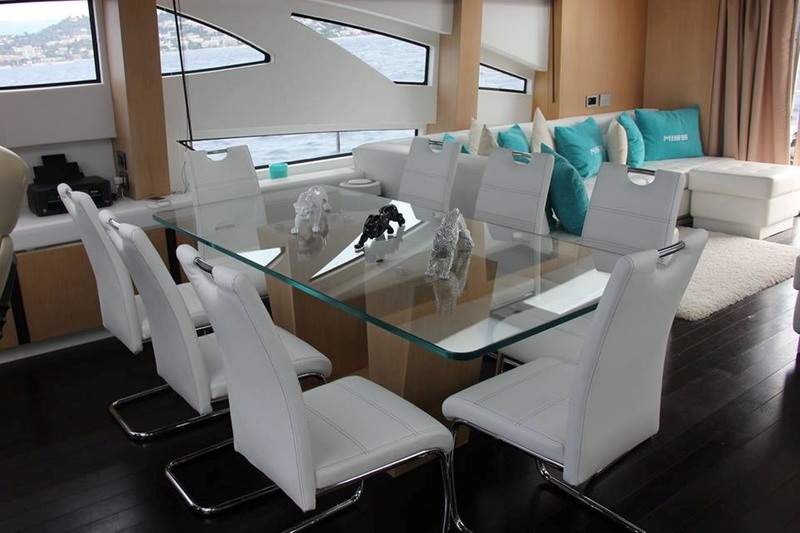 This Jaguar 80 yacht is available for charter on the French Riviera to discover Cannes, St Tropez, Monaco… The yacht features a spacious deck space including a large sunbathing area forward, a dining area and some sun-loungers on the aft deck. 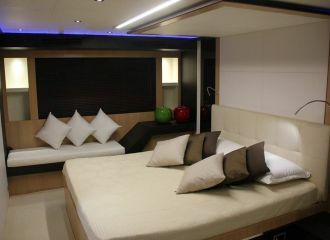 The interior living space is very enjoyable and boasts a contemporary design with light colors. 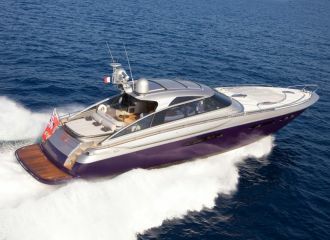 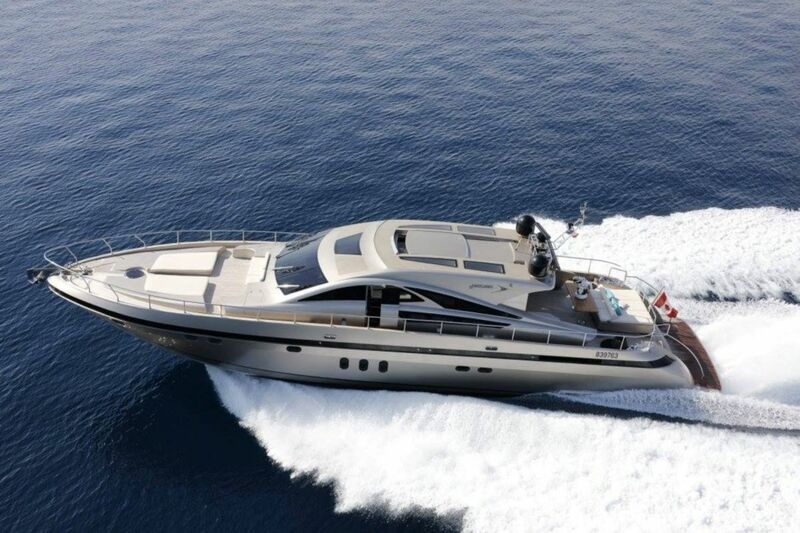 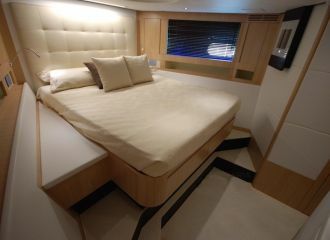 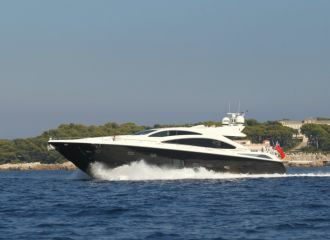 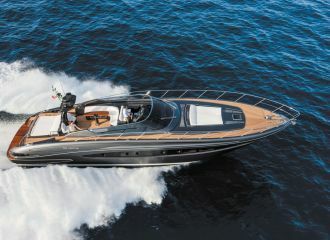 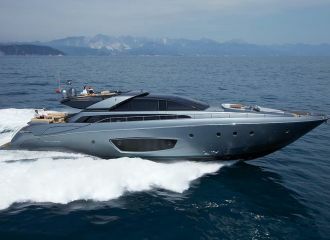 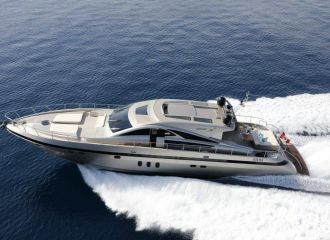 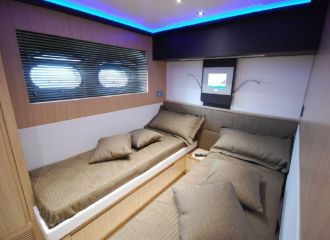 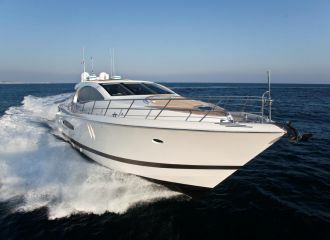 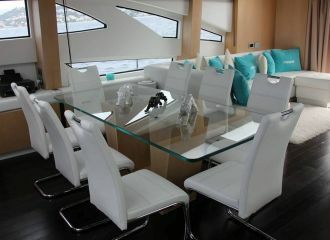 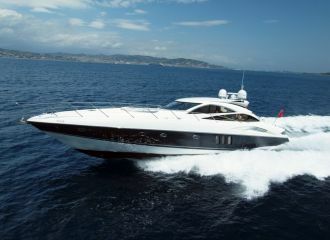 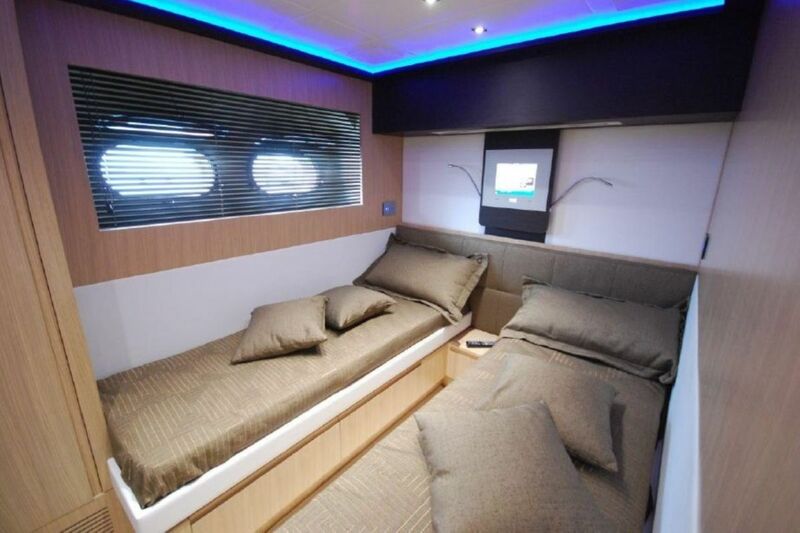 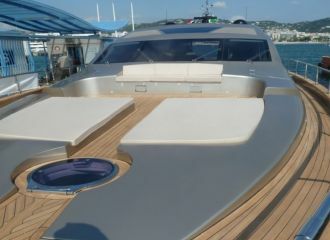 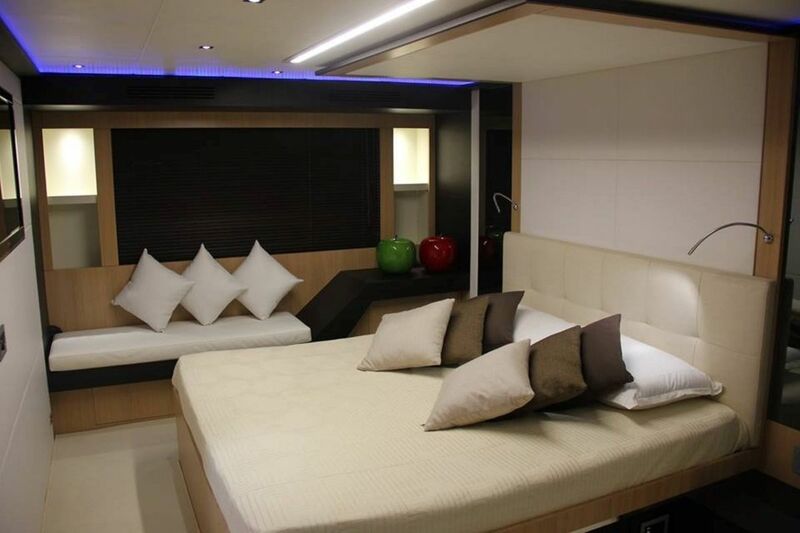 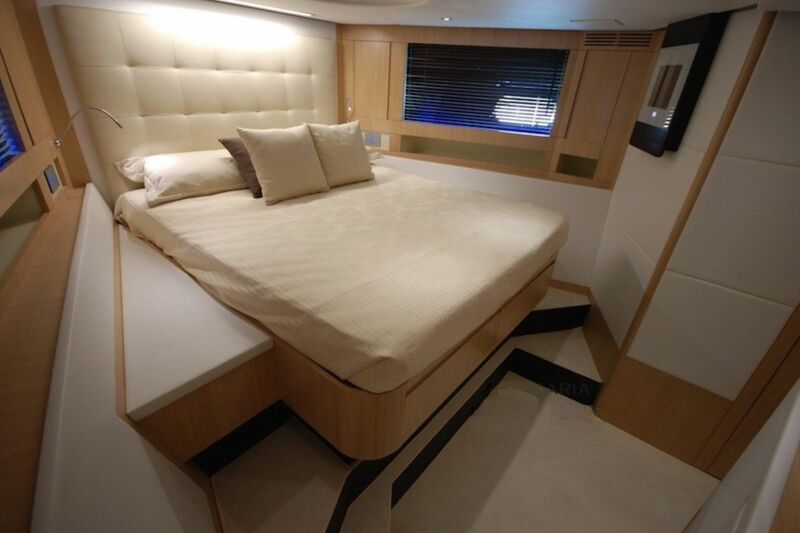 The yacht can accommodate up to 8 guests in 4 cabins: 2 double and 2 twins, all en-suite.